First, let’s take a look at the new training methods. 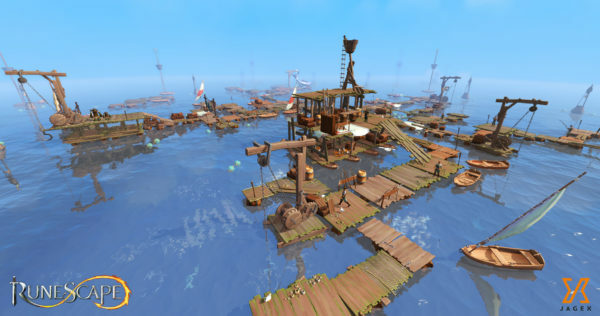 To start with there is Fishing Frenzy. This is the Fishing version of whack-a-mole. It boasts the highest Fishing XP rates in the game but beware, it’s not for the Netflix and skill crowd. Secondly, there is a new ZMI altar style fishing method. What this means is you can catch a variety of fish that are appropriate to your level. This method is called the swarm and it’s on the lower end of XP per hour but it’s very AFK and you get resources. The other new method is a two-step process. First, you fish for minnows in a traditional Fishing location and then every three hundred of them can be turned into the bait. The bait is used at magic Fishing spots. These are easy to spot and they provide great white shark, manta ray, sea turtle, etc. Finally, there are traditional fishing spots, although even these have a twist. There is a new fish called the sailfish and it is the new highest tier fish. The fishing spots look like regular spots only some of them are labeled swift. This means you will catch the fish quicker but the spot doesn’t last very long. There are also calm sailfish spots where you can catch sailfish at a more relaxed rate. Ok, now that the refresher is out of the way the big picture can be discussed. Deep sea fishing can be summed up in one word – choice. You have the choice between very high attentiveness and XP or resources and lower amount of attentiveness with lower XP and resources. There has long been a choice between high XP or lower XP but higher resources. That was fine for the time but now as the game has grown and changed it was time for another layer of complexity to be added. Now not only must you decide whether you want to pursue higher amounts of XP or resources you have the added layer of attentiveness. Rewarding players for actually playing the game seems like a no-brainer and it’s a great addition to fishing. Not only is it the right thing to do it also helps alleviate the boredom and monotony of the skill, while preserving AFK methods if that is what you prefer. Jagex has struck the right balance with this update but is it what we should expect for skills in the future? Furthermore, should this be the template for the future? It is hard to know if this will indeed be the approach Jagex takes towards skills in the future, however, there are some signs that point to yes. In February Jagex put out the first beta of the Mining and Smithing rework. It contained many of the same concepts. The more attentive you are the better the XP and resources are. In Mining, this is accomplished via the Stamina bar, while in Smithing it is done with heat. Both are examples of what could be this new approach making attentiveness the key factor in your XP rates. It is also notable that the Mining and Smithing beta was before Deep Sea Fishing. Hopefully, that is an indication of Jagex’s intentions in the future. The bigger question is, should this be the direction of skilling? For the skills that are the most out of date, it is exactly the direction they should go. Mining and Smithing is a good example of this. Future skill reworks should include the principle of active gameplay. They should also include choice as an essential part of any skill rework. Every skill should have the choice between XP vs. resources, along with AFK vs. active gameplay. That is what will make skills much more dynamic in the future. Not to mention that choice will be essential for the release on mobile. Some training methods won’t be conducive to mobile and vice versa. Of course, some skills will be more challenging to implement these principles. In addition, some skills are already incorporating these principles like Runecrafting. Giving players a variety of training methods is also better than just adding a mini-game like was done with Divination. All and all though Jagex is going the right direction and I hope they continue down this road. 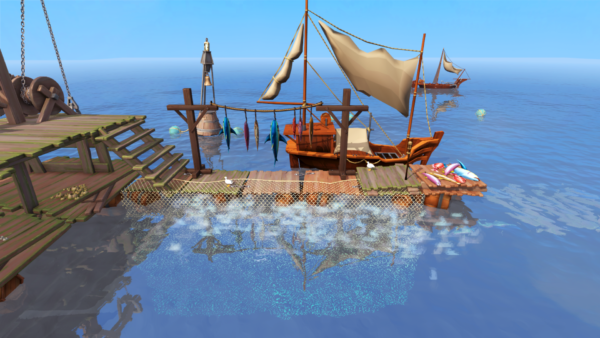 Deep Sea Fishing was the update we didn’t know we wanted. It is highly doubtful if you had asked someone what would be one of the best updates of the first quarter, they would have said Deep Sea Fishing. Turns out not only was it a good update but it gave us a glance into what may be in store for skills in the future. 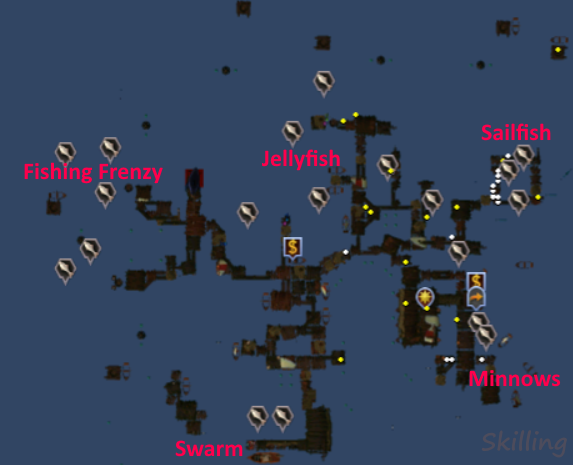 Deep Sea Fishing and the Mining and Smithing rework are the perfect templates going forward. It is nice to see Jagex giving the players real tangible choices on how they want to play the game rather than just the choice to turn a certain toggle on or off. Next month I’ll be back with another RuneScape article but until then, Happy RuneScaping.